The Cypress Dome is a magazine that became part of my life in 2001, when I first walked into the office as a student editor my junior year of college. Then advised by Dr. Don Stap, the student staff included six editors who worked year round to promote, edit, and publish the magazine, along with a seventh student who handled production layout in the Spring semester. It has flourished so much over the last fourteen years that when I came on as a graduate assistant this year under Dr. Lisa Roney, I found a staff of twenty student editors handling those same tasks. The transition from student editor to graduate assistant has been an exercise in restraint. I had to bite my tongue during manuscript selections, avoiding weighing in with my own opinion and leaving the copy editing to the students. I took a step back, reminding myself that it was their turn to be in charge. That’s the beauty of The Cypress Dome—it’s truly a student-run magazine. The students decide what to print, what copy edits should be made, what revisions apply to the layout, and what order the accepted work will be published in. Speaking from the experience of eleven years in Houghton Mifflin Harcourt editorial, I know that having these first experiences is key to getting these opportunities again in the future. Working on The Cypress Dome in 2001 helped me discover my passion for editing. It’s a passion I see reflected in the student staff working on the 2015 issue. This past week the printer’s proof for the 26th issue arrived, needing a review turn-around within three days. The editor-in-chief, Heather Vazquez, and I agreed to do the final check of the work, but invited other editors to be part of the process on Monday, in between their other classes and responsibilities. We expected two or three editors would be able to assist on short notice, but wound up with half of the editorial staff crammed into our tiny on-campus office, ready to check folios, the table of contents, and for typos. Other editors stayed in contact over the next few days, emailing changes that needed to go to the printer and sending reminders. These editors nursed the magazine through copyediting, worked over Spring Break to do layout, and cannot wait to have the finished product in their hands. While the editorial staff can’t publish every submission they receive, what they do publish is a cross-section of work that demonstrates the local writing community at UCF. All issues of The Cypress Dome are essentially time capsules—looking at issues from 1990 to 2015 shows the growth of the UCF writing community and is a testament to the way the Creative Writing department and curriculum has progressed over the last 26 years. The Cypress Dome and the Cypress Dome Society, the RSO that helps fund the magazine, are developmental resources not only for undergraduates, but for graduates as well. Graduate students can submit to The Cypress Dome or participate in the weekly First Draft meetings. First Draft offers workshops with local authors or publishers and a space to meet weekly to write. In addition to offering workshops, First Draft encourages graduate students to give talks in their areas of expertise. I recently led a discussion on Genre Fiction, addressing the supposed differences between literary and genre, and helping students define the hallmarks of different genres. Aside from the opportunity to gain practical experience speaking in front of a group, the experience allowed me to get to know these undergraduate writers better and connect with the larger UCF writing community. 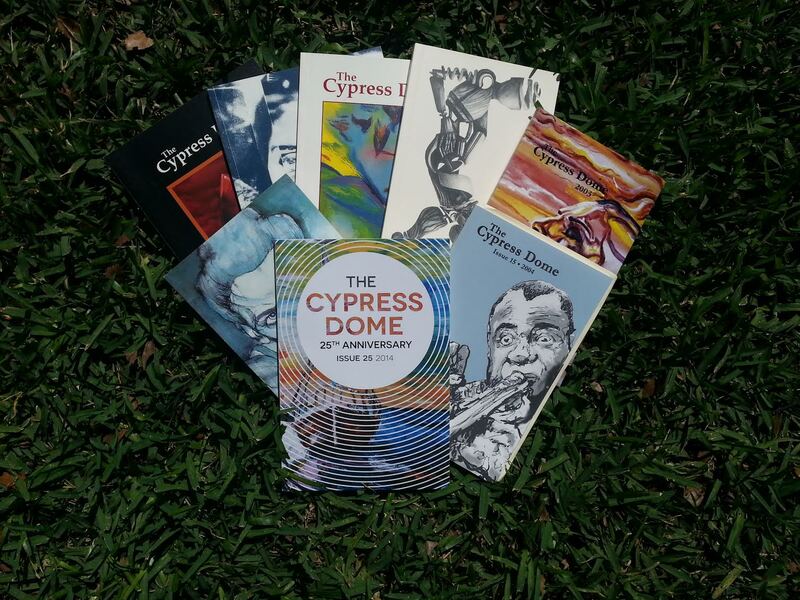 The Cypress Dome and the Cypress Dome Society deeply affected me as an undergrad, putting me in touch with student writers who I still admire and helping me discover a love of editing that branched into a career. I’m happy to be working with Cypress Dome again, and I look forward to celebrating the launch of the 26th issue. EVENT INFO: The launch party for the 26th issue of The Cypress Dome is April 20, 2015 at 4:30pm in the Harris Engineering Center, Room 125. The public is welcome to attend. There will be readings from the authors published in this year’s issue and a reading from special guest alumna, Lindsay Hunter. Lindsay Hunter is the author of two story collections, Daddy’s and Don’t Kiss Me. Her first novel, Ugly Girls, was published by Farrar, Straus, and Giroux in 2014. Alli Martin is a first-year MFA candidate at UCF. Between degrees, she worked in editorial at Houghton Mifflin Harcourt. She is the graduate assistant on The Cypress Dome, UCF’s student literary magazine. 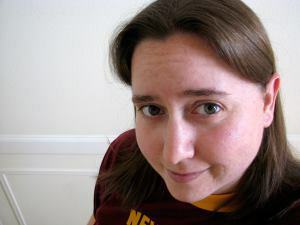 Her fiction appears in the 2011 anthology Dreams of Steam II: Brass and Bolts.